HTC has been struggling with its smartphone business for a long while now. 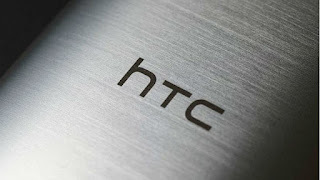 Prior to entering 2019, HTC Taiwan President, Darren Chen, had expressed that the company is looking forward to rebooting its smartphone business procedure and the focus in 2019 will presently be on mid-range and top of the line gadgets. All things considered, on the off chance that we pass by his announcement, at that point the latest leak might just be valid - another mid-run HTC smartphone has been spotted on the Geekbench website. Notwithstanding that, the listing likewise uncovers the phone's model number and some key specifications. According to the Geekbench listing, the leaked HTC handset sports the model number 2Q7A100 and runs on Google's latest Android 9.0 Pie operating system. The smartphone - with model name 2Q7A100 - is powered by an octa-center Qualcomm Snapdragon 710 SoC that is based on an 8nm procedure, and the chipset can be found in any semblance of Nokia 8.1 and Oppo R17 Pro. This is paired with 6GB of RAM. Right now just these details have approached according to the Geekbench listing. Furthermore, considering this, we can securely accept that this upcoming HTC gadget will be a mid-run smartphone. It's been some time since HTC launched another smartphone. The last one being the Desire 12s that was launched in December, a year ago. Furthermore, going by the current Geekbench listing, the date referenced for the filing of this unannounced smartphone is 11 April 2019. In this way, one thing is certain that the gadget is still in its beginning times and we can anticipate that more leaks should pour in the coming time. The listing was first spotted by a Dutch site. In conclusion, with declining sales and slumping benefits, HTC is in critical need of a miracle. Will this upcoming smartphone bring some lost greatness back to the company? All things considered, for that the company needs to put in nice specs and an aggressive sticker price to run with. Something else, with an intense challenge in the mid-go, this can be an extreme sale!